Tired of waking up in a pool of your own sweat? These mattresses will leave you feeling cool and well rested. According to experts, each one of us produces about 26 gallons of sweat in bed each year — and if you tend to be a hot sleeper, that might be a conservative estimate. Even if you keep your bedroom between the recommended 65 and 72 degrees Fahrenheit, our bodies are set permanently to 98.6 degrees. 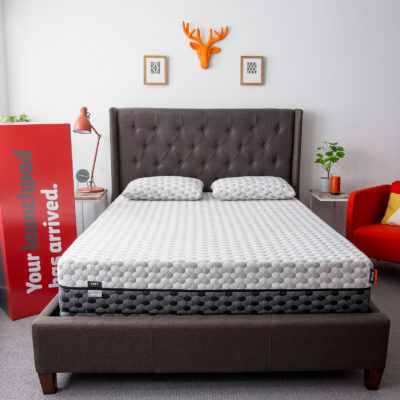 If the mattress you have now feels like it’s trapping your body heat (or turning it into an inferno), it’s time to swap that old model for one designed for better air circulation and breathability. Your sleep is golden, and any mattress that doesn’t help you keep your cool the whole night through is stealing from your sleep bank. 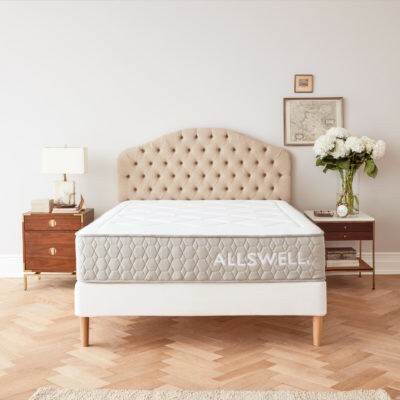 We’ll help you understand how your mattress can help alleviate those hot, sleepless nights and tell you about our favorite (and most affordable) mattresses for the job. According to experts, each one of us produces about 26 gallons of sweat in bed each year. How do materials affect mattress temperature? Mattress construction — in essence, the materials that make up your mattress — is the biggest factor determining whether it sleeps cool and whether you’ll sleep cool on it. There are two big factors to consider in material construction: first, breathability; second, heat conductivity and retention. The more breathable your mattress materials, the better your mattress will be at allowing air in, out, and away from your body. As for conductivity and retention, these are measurements of whether your materials absorb and keep heat, or whether they dissipate heat and help it to move on (and away from your body). 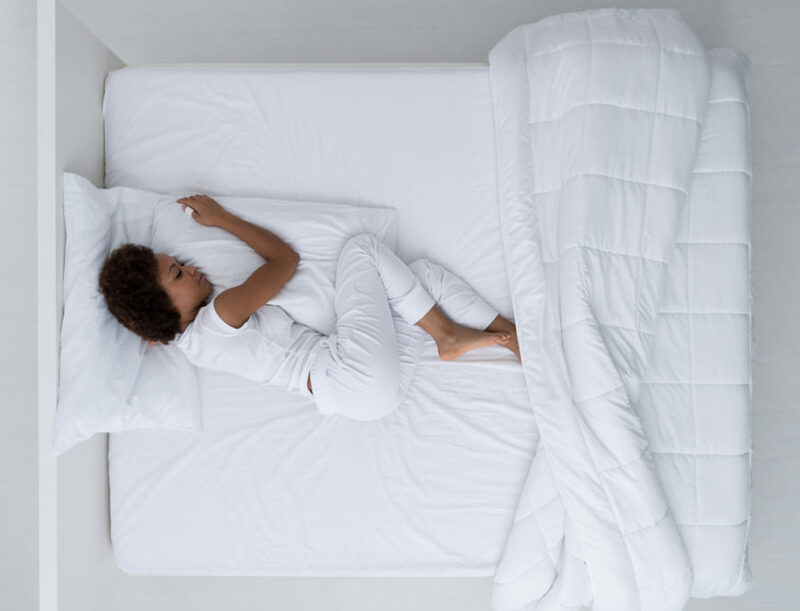 An important thing to remember is that how hot or cool you feel on your mattress can also be impacted by the mattress cover or pillow topper you use, the sheets and bedding you use, and the clothes (if any) that you sleep in. So if you buy a mattress that claims to sleep cool and then add a down pillow topper, you’re going to negate the benefits of that mattress’s cooling technology. There are two big factors to consider in material construction: first, breathability; second, heat conductivity and retention. What materials should hot sleepers look for in a mattress? 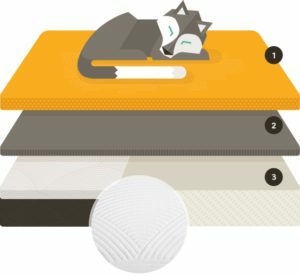 Let’s examine the materials found in most online mattresses, and find out what makes them good (or less good) for hot sleepers. Since “traditional” innerspring coils are thin, there’s a lot of air that can circulate between each coil, even if those coils are wrapped with fabric. And since coils are made of steel, they’re not great at absorbing or retaining body heat—a good thing—and are great at transferring it away from you. The best innerspring mattresses for hot sleepers are those with individually-wrapped coils. A latex mattress will generally keep you cool thanks to aeration—the tiny air holes punched into the material. Natural latex (made from rubber-tree sap) has greater cooling properties than most synthetic products, which might not have the same breathability and aeration properties. But even synthetic latex isn’t known to absorb heat, unless (like above) it’s combined with memory or poly foam. Infused with tiny gel beads that take a long time to rise to a body’s heat, this foam generally allows you to sleep cooler than memory foam. But if they do heat, these gel beads won’t provide enough heat transfer to make a difference. When inserted in greater-than-usual quantities, or paired with conductive materials like copper or graphite, we find they do better. These foams are great at relieving pressure — which is why they’re so prevalent — but unfortunately, they’re famous for insulating your body, soaking up your natural heat, and trapping it close to you. On its own, memory and poly foams ranks the lowest on our “best materials” list for hot sleepers. However, when combined with breathable top layers (like those made of latex) or coils or gel beads, these foams begin to let go some of their heat-retention properties. Additionally, a heat-transferring fabric cover can do wonders (more on that later). 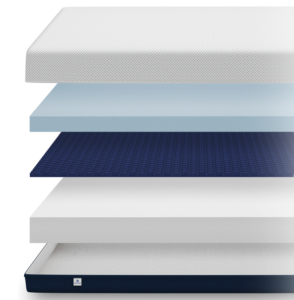 Below we’ve highlighted our top mattress picks for folks who sleep hot. 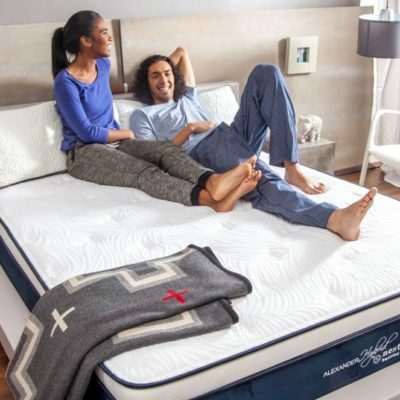 If you want to read more about a particular mattress brand, we’ve got you covered in the next section. You may notice there’s no #1 pick — and that’s because we know that everyone is different, has individual preferences, and is looking at different price brackets for the best mattress possible. So, take a look at things like the materials, rating, and price to help you decide. And remember — seeing (and feeling) is believing. That’s why we’re only reviewing mattresses here that have a trial period of at least 100 nights. And free returns, since hassles also make us sweat up a storm. The top layer of the Leesa mattress is made of perforated Avena foam, and those holes provide extra breathability and airflow, which keeps it extra cool. This mattress doesn’t play favorites. With its cradling technology, it supports your body in any position: side, stomach or back. “If you’re like me and don’t like too firm or too soft…this is the bed for you. Leesa has figured out how to make the perfect bed. I’ve had mine for a few months now and absolutely love it. Sleeps cool, little bounce, little sink, just right. 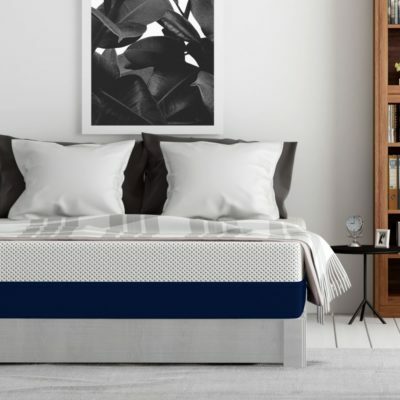 Very happy with my purchase and would definitely recommend it and buy it again.” – Mark W.
“Since purchasing my Leesa I have been sleeping through most of the night (except for nature calls) and waking up refreshed and just a little stiff, but NOT hurting as I was before with a coil mattress. Also, love not “burning up” and being “hugged to death” like I did with a solid memory foam mattress. I have arthritis so this is a big plus. I have been recommending this mattress to others, telling them it is worth the wait to save up for it. 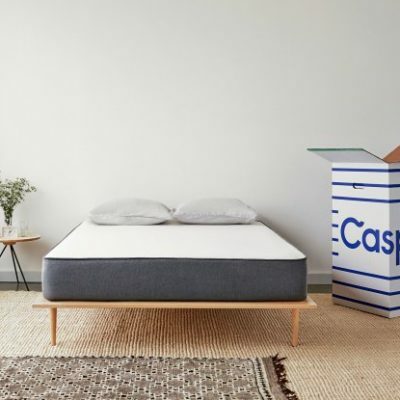 If fact the only “complaint” I have is the cost.” – Criss K.
Setup: The Leesa mattress comes compressed, rolled and boxed. You will simply unbox the mattress, unroll it on your foundation, and wait for it to expand. You can also refer to this how-to guide from Leesa on proper setup. Foundation: Leesa recommends a more stable, rigid base that will sufficiently support this foam mattress. You could also try adding a bunkie board instead of a new foundation as a suitable and wallet-friendly option. A bunkie board is basically a 2-3″ board that creates a flat, rigid surface to support your foam mattress and pairs nicely with traditional metal frames, platform beds, and slatted beds. 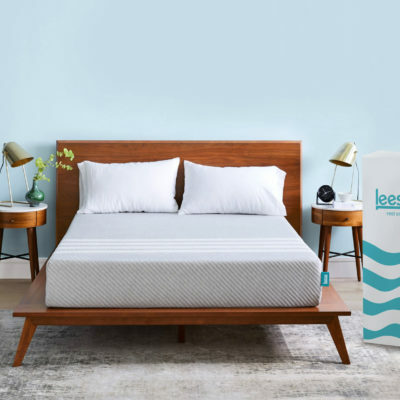 Return policy: If you decide to return your Leesa within the 100-night trial period, there are zero return fees and you do not have to worry about fitting your Leesa back in the box. They’ll arrange to have your mattress picked up from your home with no additional effort or cost on your part. Leesa will try to locate a charity in your community to donate the mattress. Leesa donates one mattress for every 10 sold to non-profit organizations that serve homeless and at-risk individuals. They also plant one tree for every mattress sold. You can read more about their social impact programs here. Loom & Leaf’s’s proprietary Spinal Zone Gel layer is created with cooling gel to help keep heat at bay while providing optimal spinal support. The mattress is available in “relaxed firm” (the flagship comfort level), and “firm” for customers who like a very firm feel. Its 5lb. eco-friendly premium top memory foam layer is naturally cool with no off-gassing. “We considered Temperpedic, Casper, original mattress factory serenity but the L&L beat all of them! The mattress is very breathable and not hot like other memory foam mattresses. I totally love the service, very attentive and informative. We totally recommend it. It’s a very good investment.” -Jetzabel M.
“Easy to purchase, great delivery and the most comfortable mattress ever. 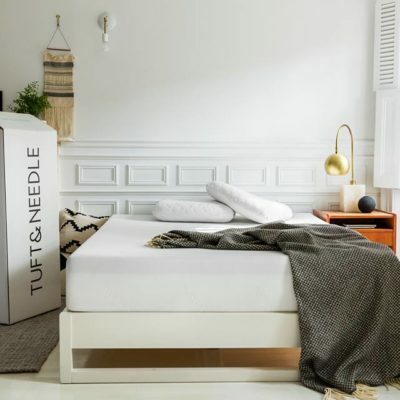 It’s cool, just firm enough and not one odor of any kind.” -Hutch H.
Delivery and Setup: Delivery of the Loom & Leaf mattress can take up to 15 days, but it comes with free white-glove delivery and set-up. Loom & Leaf will also remove your old mattress at no cost if you have one to get rid of. Foundation: Saatva offers a Lineal™ Adjustable Base ($1,399 for queen; king size mattresses can be split for comfort.) If that’s too rich for your blood, you can opt for a $99 stationary frame to use with a low-profile (4.75” high, $250) or standard-profile (8.75” high, $285). These frames are also available split, for the same price. Return policy: If Loom & Leaf isn’t the right fit for you, they’ll remove the mattress and refund your purchase price, minus a $99 return fee. The Lineal Adjustable Base™ by Saatva cannot be returned. Loom & Leaf comes with free white glove delivery service and free removal of your old mattress. Bear’s claim to fame is its clinically-proven Celliant™ muscle recovery technology, which helps convert radiant body heat into infrared energy that can be returned to the body. While it’s targeted to athletes, even less active (or inactive) sleepers can benefit from its features. Bear also uses Celliant™ responsive textile technology in its mattress cover. If you like a memory foam feel but hate the way memory foam heats you up, you’ll notice that this graphic gel memory foam layer releases heat better than its traditional counterpart. 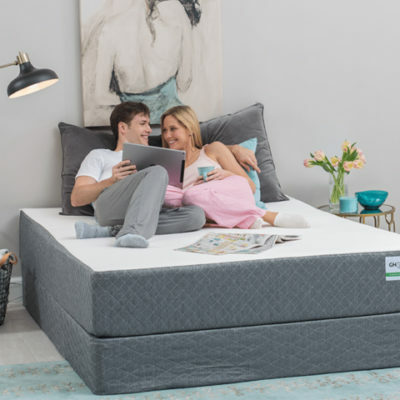 “The mattress is the most comfortable and cool mattress I’ve owned and the pillows are by far the coolest sleeping things.” – Charles R.
“Excellent Mattress – Love the cooling feature. Living in Maryland, it can be hot and humid during the summer. 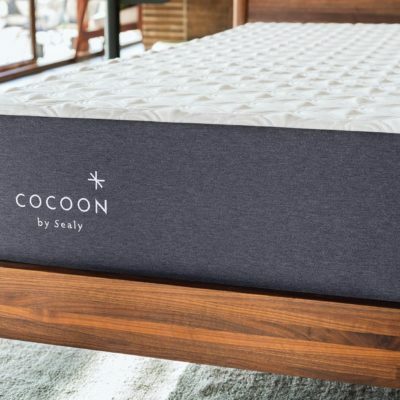 The mattress stays cool and comfortable to sleep on.“ -Corey W.
“I would recommend this over the other similar “mattress in a box” companies if you are also looking for a mattress to keep you cool at night.” – Joshua H.
Delivery: The Bear mattress ships free to the lower 48 states and will be at your door in 4-7 business. Setup: The Bear mattress comes compressed, rolled and boxed. It is recommended that you have at least two people setting this up. You will simply unbox the mattress, unroll it on your foundation, and wait for it to expand. 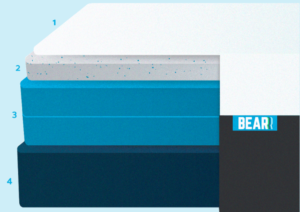 Foundation: The Bear mattress is ideally paired with the Bear foundation but will also work just fine with any flat or slatted frame/foundation since it is memory foam. You can also use it right on the floor. Return policy: The company does ask that you sleep on the mattress for at least 30 nights, as your body may need some time to adjust to the feel and support. But if you’re not completely satisfied within the first 100 days, Bear will pick up your mattress and refund your money in full. 1% of every sale is donated to Good Sports Charity. Bear also sells a cooling pillow with recovery technology ($95), a waterproof mattress protector ($110 for queen), and an adjustable bed foundation ($1,640 for queen). You can save 5% when you buy the mattress, mattress protector, and two pillows together. Athletes from around the world use the Bear mattress – you can check them out here. Nolah’s top layer is made of a proprietary AirFoam™ which helps dissipate heat 20% faster than ultra high-end memory foam. The design and construction of the mattress make it completely “temperature neutral”―a big departure from the usual hot memory foam feel. Nolah has written a blog post describing this in detail. 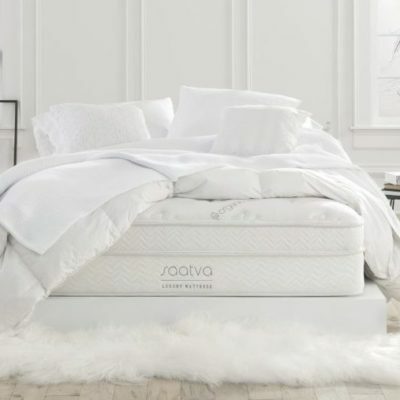 Nolah claims there’s nothing in a Nolah mattress that is capable of reacting to your body heat ― which is how it maintains its cool, low temperature and provides even the hottest sleepers with a comfortable, restorative sleep. “I often suffered from hot flashes at night and would put the covers on and take them off covers on and off, too and turn all night. Now I sleep much cooler and in a deeper sleep and I feel much more rested the next day. ” – Tamara K.
“I love this mattress. I get night sweats really bad and this has really helped! .” – Tara D.
“I was concerned about the reputation foam mattresses have for trapping body heat. As it turns out, I needn’t have worried, as my Nolah sleeps as cool as my old coil spring mattress. The word “perfect” falls short.” – Ron M.
Delivery: The Nolah ships free and arrives at your doorstep within 5-10 business days. Setup: The Nolah mattress comes compressed, rolled and boxed. All you need to do is unbox it, unroll it on your foundation (if you’re using one), remove its plastic wrapping, and watch it grow. Foundation: You can use the Nolah mattress on any flat surface—a box spring, foundation, slats (so long as they’re not spaced over 3” apart), even the floor. Return policy: The folks at Nolah mattress hope you’ll try it for a minimum of 30 nights…but if, after 120 nights, it’s not right for you, call or email them and they’ll send somebody to pick up the mattress. Once their office receives the scanned pickup slip, you’ll receive a full refund. Nolah adopts one wildlife animal for each mattress sold. Before you complete the checkout process, you can choose which animal you would like to be adopted. You can read more about their mission here. Layla goes to lengths to turn down your heat. When your body weight compresses the foam mattress, its copper infusions come into contact with gel particles that help conduct heat away from your body while you sleep. The Thermo-Gel cooling cover ensures that heat isn’t trapped between you and the mattress. “I have owned 2 memory foam beds—both slept warm. This Layla mattress is my 3rd and it does not sleep warm.”– Brenda W.
“I now sleep the best I have in years. No more night sweats.” – Shirley A. “I really enjoy this bed. During hurricane Irma when I had no electric and my windows had hurricane shutters up, my body stayed cooler than I expected when I slept. I also have lower back issues and since sleeping in my Layla bed I wake up with no issues.” – Nathan S.
Delivery: Most customers in the lower 48 states can expect their new Layla mattress to arrive in 4-7 business days from the day they order with free shipping. *There is a $100 shipping fee for Alaska and Hawaii customers. Setup: The Layla mattress comes compressed, rolled and boxed. You will simply unbox the mattress, unroll it on your foundation, and wait for it to expand. Foundation: Layla recommends these options: put it on the floor, use a traditional bed that requires a box spring, get a platform bed, or try an adjustable bed frame. Return policy: After two weeks, and before four months of the purchase date; If you decide that you don’t love your Layla mattress, they’ll pick it up from you and issue you a full refund. They will donate all returned mattresses to charity so there are no restocking fees. Purple’s top “grid” layer is what really makes it stand out. It allows for incredible air circulation around the body, so any heat your body puts out just flows right through. Its pressure-releasing layers make this mattress beneficial for both back and side sleepers — when you lie on your back, it helps your spine maintain its natural curve, and when you lie on your side, it helps keep your spine straight. 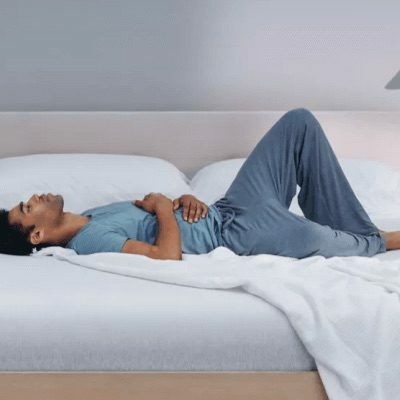 The same patented, breathable mattress design is duplicated in its proprietary pillow, so you “always sleep on the cool side of the pillow.” A single pillow retails at $99, and comes with a 100-day trial period. Return policy: If you decide the Purple is not for you within the 100-day trial period, you can return it for a full refund. They will come pick up your mattress and donate it to a local charity at no cost. Purple does ask that you try you mattress for at least 30 days. 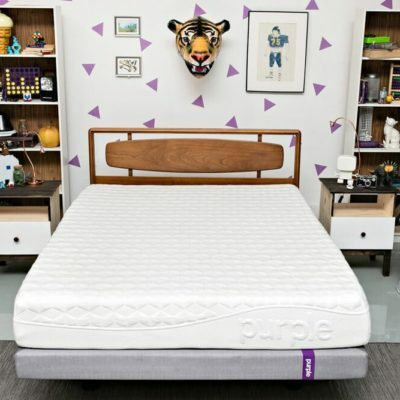 In addition to the pillow and mattress protector, Purple also sells sheets, seat cushions, a platform base, and an adjustable base—and offers bundled discounts if you combine products in one order. 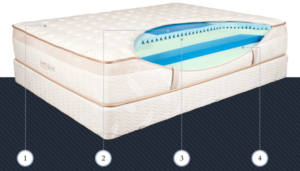 The Amerisleep As4 offers cooling properties in two of its three layers. 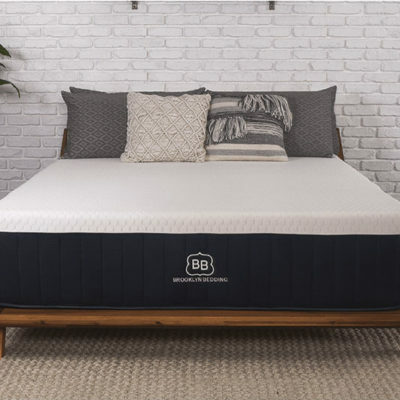 The top layer is proprietary plant-based memory foam, which sleeps much cooler than traditional synthetic foam. It undergoes a process called reticulation, where the cell walls of the foam are blown out while the foam shape remains intact, which makes the top layer much more breathable. The middle layer’s surface contains breathable channels that promote higher airflow. In addition, the cover contains Celliant, which is known to reduce pain, regulate body temperature, and promote healthy blood circulation. 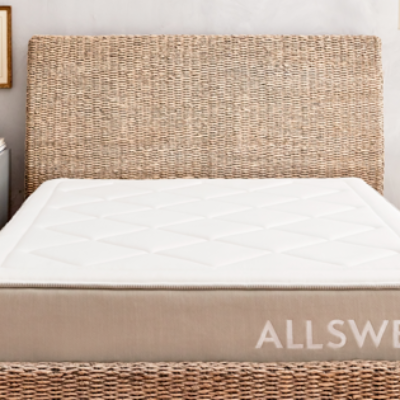 Amerisleep recommends this mattress most highly for side and combo sleepers, with a medium-soft supportive feel. Delivery: Amerisleep ships free to the lower 48 states and usually arrives in 5-10 business days. Set-up: The mattress comes compressed, rolled and boxed. You will simply unbox the mattress, unroll it on your foundation (if you’re using one), and wait for it to expand. You can also watch this video to see how it’s done. Foundation: Amerisleep recommends a flat surface for the As4. You can use a flat or slatted frame, box spring with plywood, adjustable base or even set it on the floor. Return policy: If you are not satisfied with your As4 within your 100-night trial period, they will help you donate your unwanted mattress and give you a full refund. You can also purchase an adjustable bed base ($1,900 for queen) as well as sheets, pillows and mattress protectors from Amerisleep. 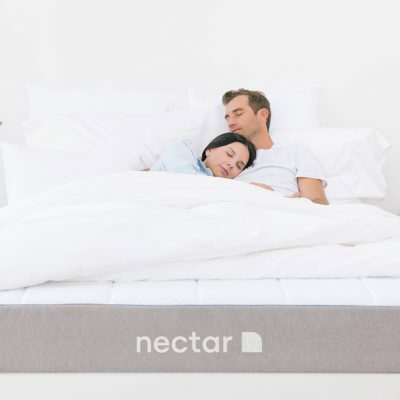 If you’ve spent a lifetime identifying as a “hot sleeper,” a mattress that helps you consistently sleep cooler isn’t just a game-changer, it’s a life-changer. Imagine waking up every morning feeling refreshed, relaxed, and recharged — without sweaty feet, a clammy back, or a damp pillow. Bonus: longer sleep, unbroken by periods of sheet-thrashing and pillow-flipping. Don’t you deserve a mattress that will help you get the sleep you’ve always dreamed of? Of course you do. Let us know which mattress works out best for you. You might be helping others seeking the same relief.